The Toshiba Single Phase Ducted Inverter unit, rated up to 13.5kW in cooling and 16kW in heating. The benefits of Toshiba’s refined design include flexibility in application, low operating sound level, improved air quality and all round comfort. This is as a result of the precise temperature control of Toshiba’s Inverter technology. Plus, all units are high performing as well as energy efficient. This range of equipment is 100% fully Japanese built. Toshiba’s refined design include flexibility in application, low operating sound level, improved air quality and all round comfort. This is a result of the precise temperature contol of Toshiba’s Inverter technology. 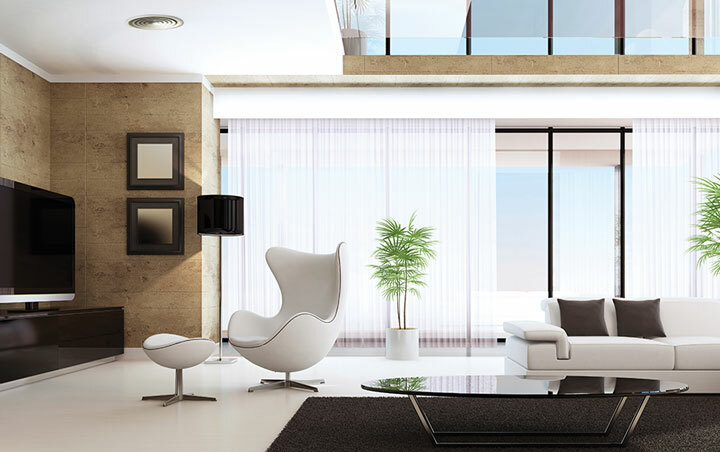 All units are high performing as well as energy efficient.. This compressor can reduce energy consumption when operated in long stable conditions by the adoption of a high-pressure refrigerant. High efficiency is evident in low-speed operation ranges. Two rollers rotate at the same time making accurate compressor rotation possible with limited energy loss. Resulting in a powerful operation with great reduction in energy consumption. 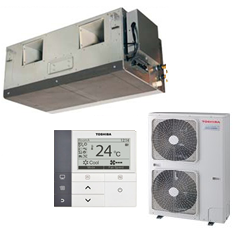 We supply and install Toshiba’s complete range of air conditioning to suit your needs for home and business use.